Feb 20 Disney After Hours at Animal Kingdom – Is It Worth the Money? Disney's Animal Kingdom is the largest park at Walt Disney World with areas representing several different continents and their respective cultures and environments. 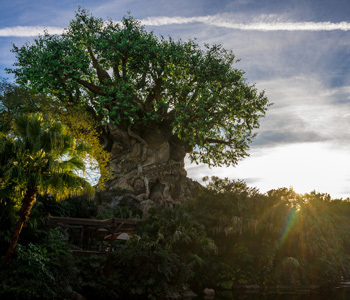 But don't worry; you can use the TouringPlans suite of tools to help you navigate the jungle paths to rides like Expedition Everest and Kilimanjaro Safaris before you stop for a bite at Yak & Yeti or explore the alien world of Pandora - The World of Avatar. TouringPlans's tools will help you maximize your time in the parks, instead of losing that time waiting in line. Animal Kingdom is rated 4.0 out of 5.0, based on 9,430 reader surveys assessing its attractions. (See our Ratings and Research page for details.) 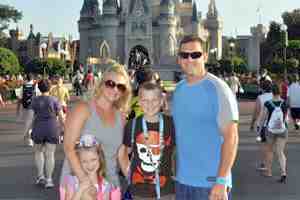 A single-day, single-park ticket to Animal Kingdom costs from $96.00 to $122.00. Animal Kingdom is located at 2901 Osceola Pkwy in Lake Buena Vista, FL. Its phone number is (407) 939-5277. The Animal Kingdom is the park most affected by weather since many of the attractions are outdoors. Make sure to check the forecast often before a day at Animal Kingdom. You will want to know how crowded it will be as well - that's where we come in. Our Crowd Calendar is the single best source for accurate predictions of crowd levels at Walt Disney World. You can also track-a-day with our Crowd Tracker to see when the Crowd Levels change. 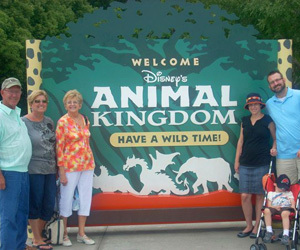 Even if you have to visit the Animal Kingdom on a crowded day, we can help. Tell us what attractions, shows and restaurants you want to see and we'll give you a personalized plan to optimize your day. "TouringPlans.com and Lines helped our family, from age 3 to 73, see and ride everything we wanted to do. Obviously our son used up every bit of his energy that day!" The boundaries of Animal Kingdom make it the largest park by land mass. It also is the most unique of the four parks. Make sure to try all the different experiences that Animal Kingdom has to offer. But do it your own terms, with the shortest waits, on the least crowded days by using the Crowd Calendar and a Touring Plan. Want to know how to use FastPass+ at Animal Kingdom? How to see a herd of rhinos without getting trampled by a herd of tourists? Subscribe to TouringPlans for full access to our Lines App, the number one rated app for touring the Animal Kingdom. Lines shows you all the schedules, crowd levels and wait times you need to navigate the park. 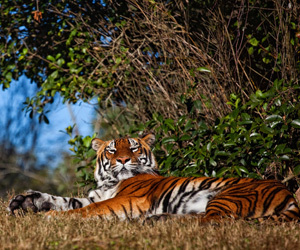 While attractions like Expedition Everest and Kilimanjaro Safaris get the big headlines, make sure to spend time on the numerous walking trails, including the Maharajah Jungle Trek, to see the majestic Tiger and more. And don't forget fun extras like meet and greet opportunities with characters like Russel and Dug and adventures with programs like Wilderness Explorers! 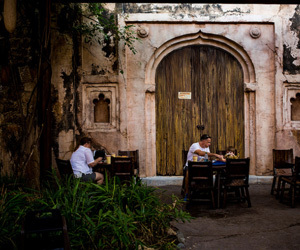 The outdoor eating areas throughout Animal Kingdom are some of the most beautifully themed areas in all of Walt Disney World. Grab a snack or quick service meal and immerse yourself in these immersive (and well-shaded) spots. Tusker House and other great locations. Animal Kingdom also features lots of unique snack items like amazing cupcakes, special diet-friendly Babycakes NYC treats, apple blossom sundaes and more. Visit our kiosk menus in the menu database to find out about all the snacks you can find in the park.